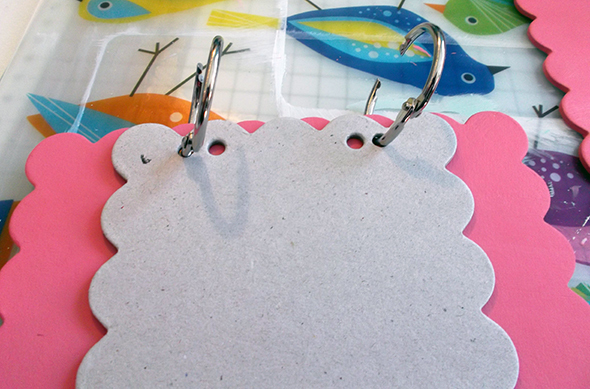 Nicole here with you today with another use for chipboard albums you may have stashed away. 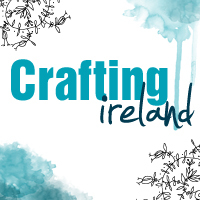 For this project I used a scalloped chipboard album from an Irish store called Crafty Cutting. 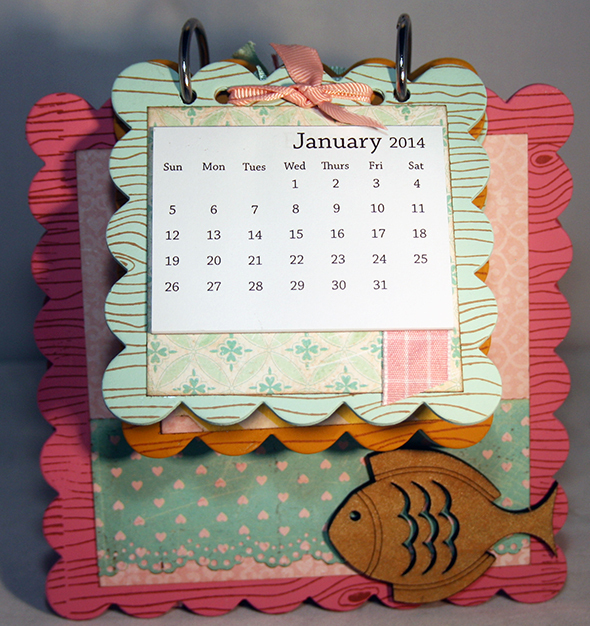 Their chipboard is fantastic quality and very heavy duty – perfect for this project! You may recall I did a tutorial on a photo display stand a few weeks ago. 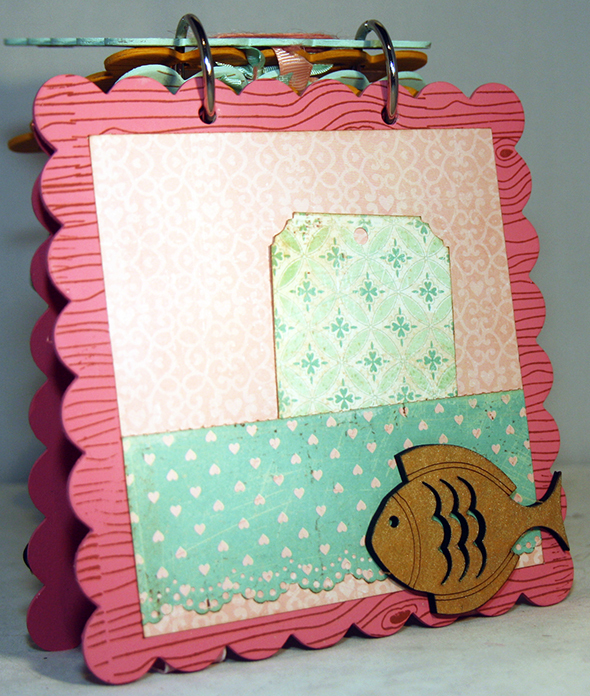 This one was inspired by the two left over large chipboard pages from that. 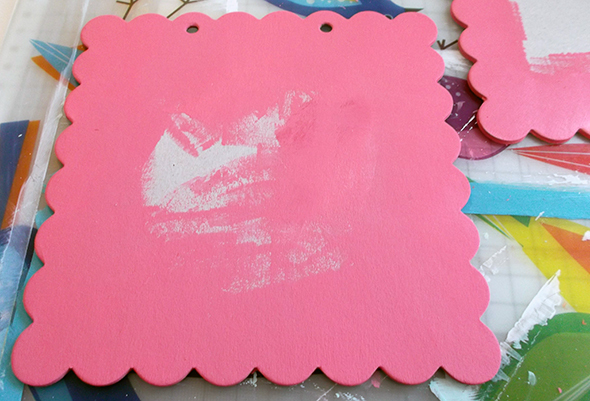 Paint the two larger album pages. There will be paper placed in the middle so I tend to just do the edges. 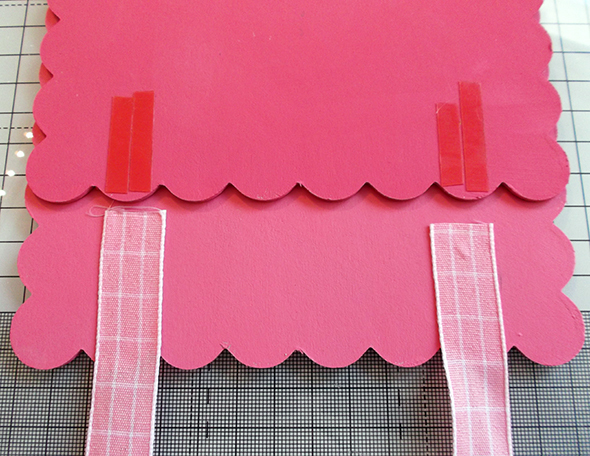 Use some ribbon to attach the bottom of the two large pages together. I used red line tape to adhere my ribbon on. I connected the two pages together at the top with the binding rings. 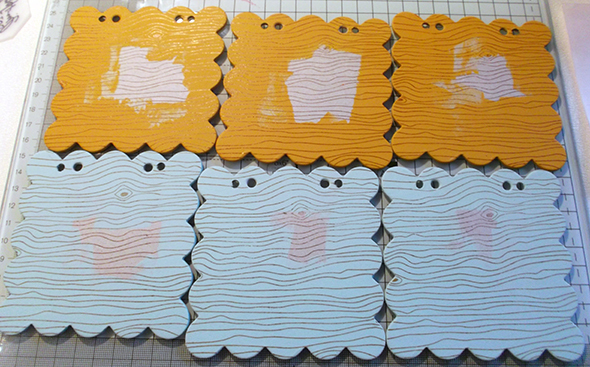 I then put them in a position that seems like it will stand and marked out the length of ribbon I needed to use. The ribbon stops the two pages from sliding apart and falling flat. 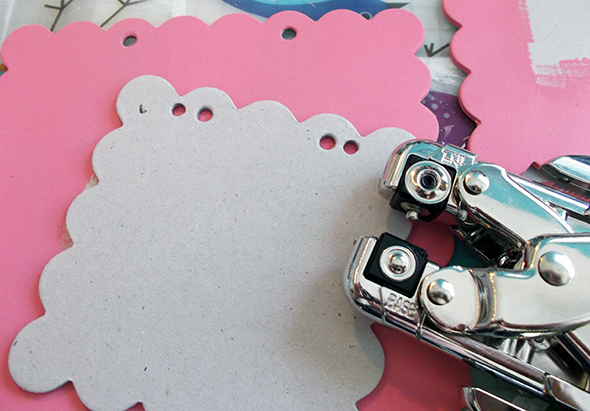 Decorate the mini pages. 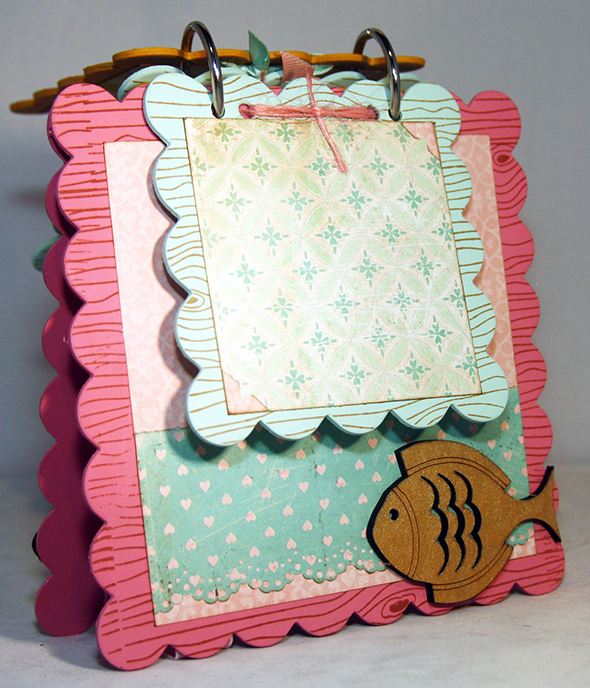 For 4 of my pages I added patterned paper and some photo corners. I will use these pages for displaying photos. 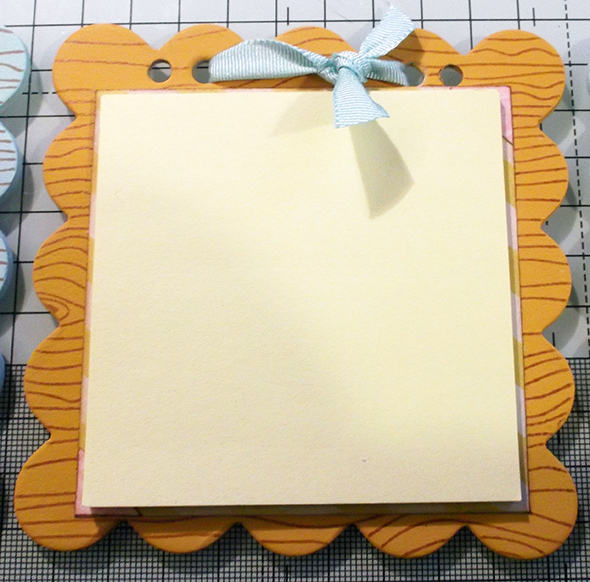 Iadded some decorative twine or ribbon between the extra holes. 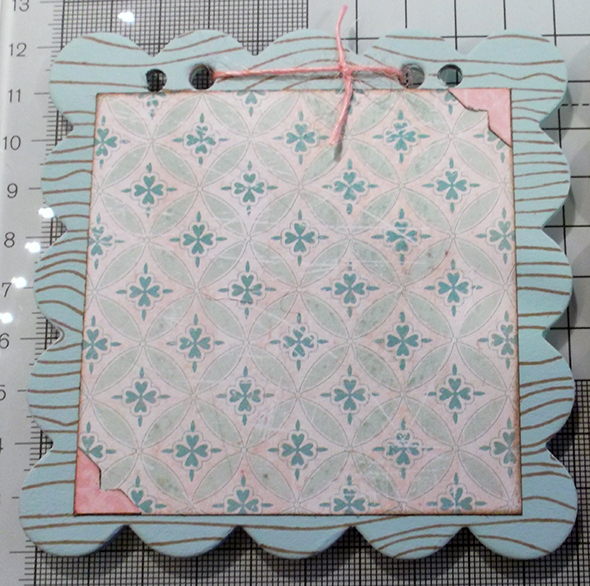 On one page I added the patterned paper and a block of post-its. 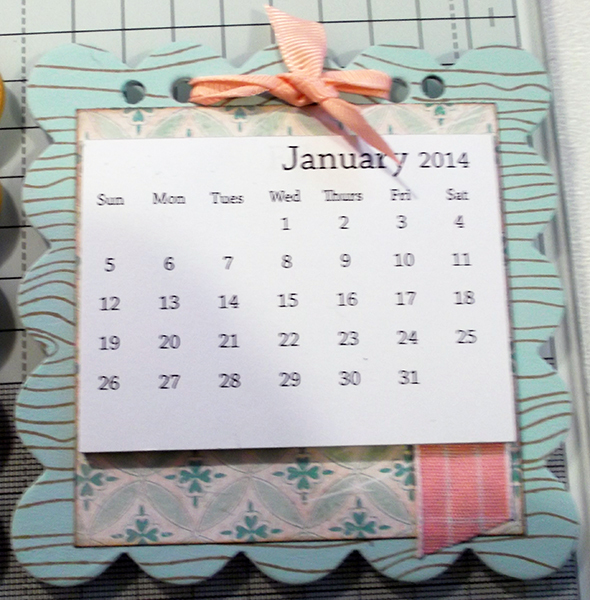 On another page I added a mini calendar. Apparently all my photos of this page came out blurry, apologies!! 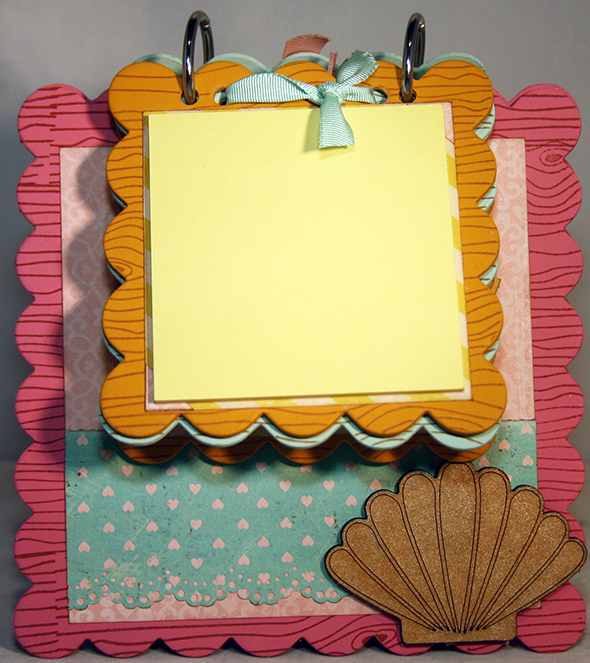 Embellish the photo stand, put it all together and enjoy! The back page of the stand, I added a little pocket and tag in here for notes. 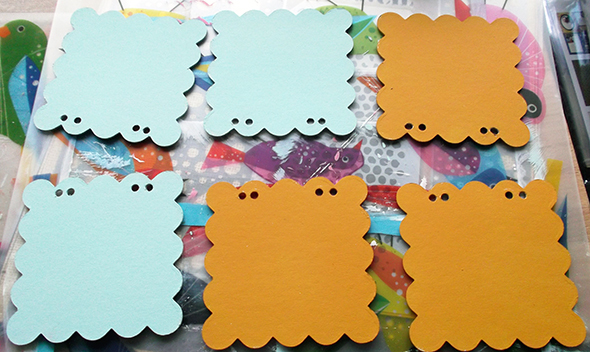 Post-it’s….you can never have enough! Thanks for stopping by, hope you enjoyed this project! !